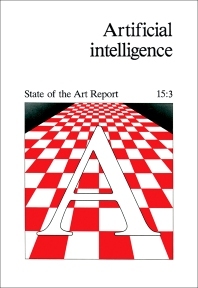 Artificial Intelligence: State of the Art Report is a two-part report consisting of the invited papers and the analysis. The editor first gives an introduction to the invited papers before presenting each paper and the analysis, and then concludes with the list of references related to the study. The invited papers explore the various aspects of artificial intelligence. The analysis part assesses the major advances in artificial intelligence and provides a balanced analysis of the state of the art in this field. The Bibliography compiles the most important published material on the subject of artificial intelligence and includes all the materials cited in the invited paper and analysis references.